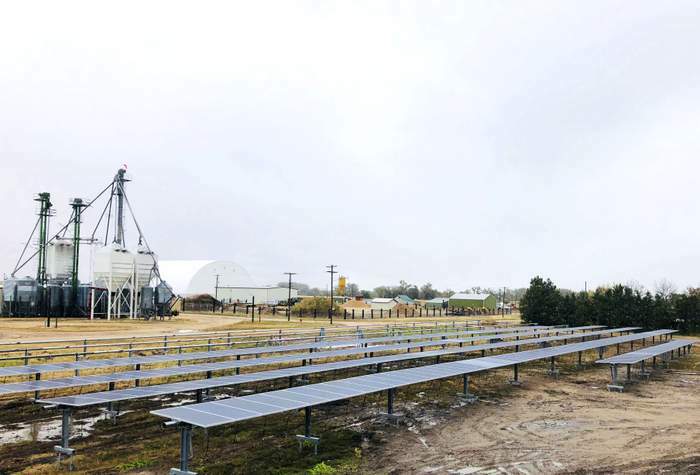 The solution was to use the DuraTrack HZ v3 single-axis solar tracker by Array Technologies, supplied by RPCS. Array’s mounting technology ensured up to a 20 to 25 percent increase in energy production over fixed-tilt systems. RPCS designs and installs Array tracker systems throughout the country, with hundreds of projects completed to date in the utility and distributed generation markets. TerraSmart introduced the latest edition to its racking portfolio, the TF3L. Similar to TerraSmart’s TF2P, the TF3 Landscape Racking System is designed to maximize construction efficiency on large-scale utility-solar sites thus saving the client from unnecessary civil work. In addition, the TF3L accommodates more panels per foundation, reducing overall site cost and optimizes panel capacity. The TF3 Landscape racking system is configured with 6 high rows by 8 long columns and has a tilt angle of 35 degrees. Yielding to a max table size of 6 x 8, the rack accommodates more panels per foundation and optimizes panel capacity. 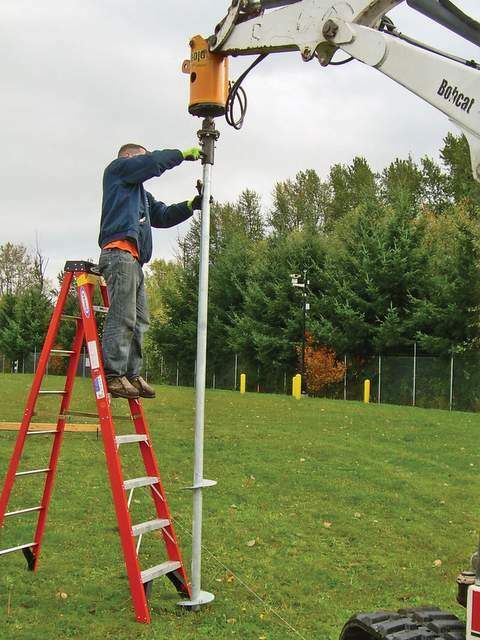 The system is also paired with TerraSmart’s versatile ground screw foundation that can work in any soil condition, saving time and budget on every site. • With an integrated wire management, the rack has no extra parts or pieces. This allows workers to simply tuck and go, resulting with a forty-percent reduction in man-hour installation time. • The ultra-lightweight design allows for easier handling aiding in a longer peak performance of field workers. • The two-piece simplified hardware stacks increase connection velocity. • The featured Smart Bracket adapts to steep slopes, minimizing civil work and expediting project schedules. Designed to meet the most rigorous international standards, the TF3 Landscape Racking System complies with the NEC, is UL 2703 Edition 1 certified and is CPP wind tunnel tested. The system can withstand winds up to 150 miles-per-hour and snow weight up to 60 pounds per square-foot. It is protected under a 20-year limited warranty, ensuring the system’s bankability and reliability over the life of the project. The second largest solar project in the state of New York, Shoreham Solar Commons, was completed last month by TerraSmart. 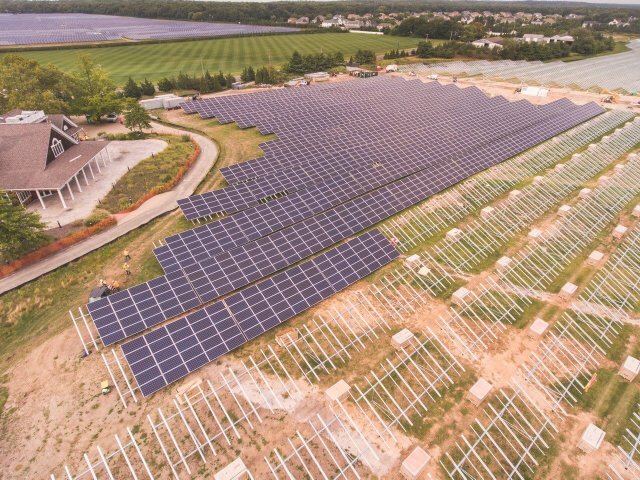 Situated on a former golf course, Shoreham will produce 24.9 MW AC of photovoltaic energy for the town of Brookhaven assisting the local utility, Long Island Power Authority, in reaching New York’s 2030 fifty-percent clean energy goal. TerraSmart was chosen by Shoreham’s general contractor, Eldor Electric, because of the velocity of its installation methods and the ability to save time and money on civil and site work. Unique in that Shoreham was built on a former golf course, the land had an intense irrigation system. TerraSmart’s unique steel forged tip on its ground screws penetrated through the irrigation lines thus saving time, money and eliminating the need for site grading. For Shoreham Solar Commons, TerraSmart combined its turnkey services of site surveying, foundation installation, ground screw installation and the Terrafarm racking system. Shoreham Solar Commons is situated on 150 acres of land that is now repurposed to produce clean energy for up to 3,500 homes in the town of Brookhaven while eliminating 29,000 tons of harmful greenhouse gas emissions per year. 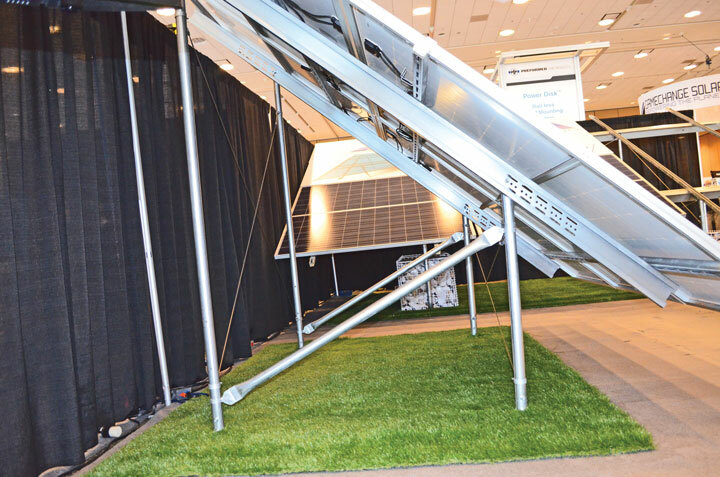 For eight years, TerraSmart has been a leader in solar racking, engineering, design and manufacturing of turnkey, ground-mount racking solutions for commercial-to utility-scale solar projects. Bringing more than thirty years’ experience in structural engineering and steel fabrication, TerraSmart has built over 1.8 GW’s of ground mount projects across the United States. 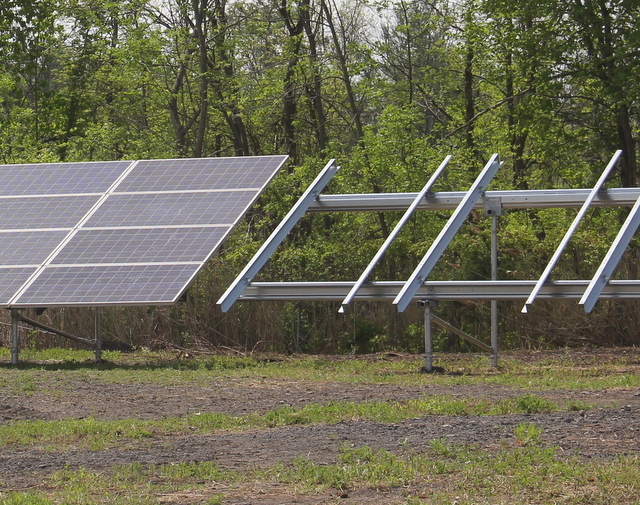 In January 2018, TerraSmart, an innovator in ground mount racking solutions for utility-scale solar projects, will open an operational hub in Selkirk, New York. The 10,000 square-foot facility was strategically chosen to support its growing construction operations in the Northeast and will serve as a blueprint to set up future construction hubs across the country in locations where solar is expanding.